Florida A&M University was showing signs of being in the mix for a men’s MEAC Championship in basketball this season but not anymore. The University announced on Wednesday that the men’s basketball team will be ineligible for postseason play this season due to NCAA sanctions. Joining the basketball team on the postseason ban list for 2019 are the men’s golf team and men’s indoor and outdoor track teams. The bans are a result of not meeting the NCAA’s Academic Progress Rate (APR). The news was announced on Wednesday at a press conference on campus and first reported by Avery Jacobs of the Famuan. 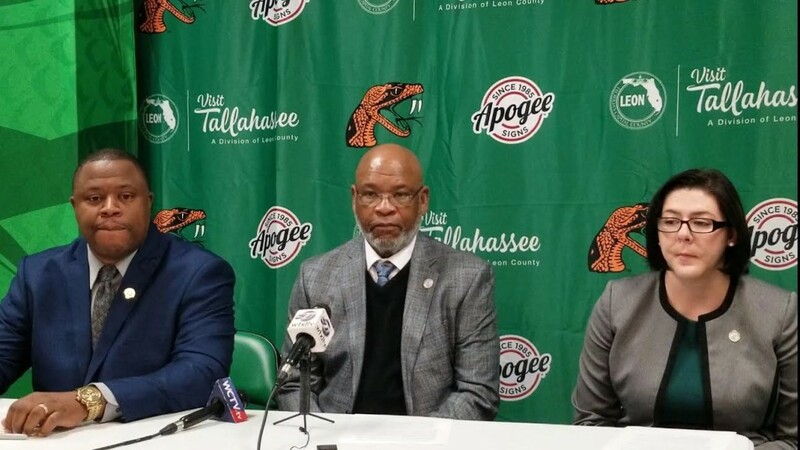 “While we are disappointed that this year’s teams will bear the brunt of this action, (but) we are confident that the measures put in place to address the APR will put us on course to move forward in restoring the necessary standards of excellence in academics,” said FAMU director of athletics John Eason. APR is a measurement used by the NCAA to account for the eligibility and retention of each student-athlete. The scores that factored into this disciplinary measure date back to the four seasons between 2013 and 2017. None of the current head coaches of the teams in question were in charge during that time period. The seasons attributing to this year’s scores for FAMU are 2013-2014, 2014-2015, 2015-2016 and 2016-2017. This APR penalty is a level two penalty, meaning that the amount of practice time will be reduced for each team as well. This is the second APR violation for the men’s basketball team in the last four years. The teams are banned from both MEAC and NCAA postseason tournaments.